If you're looking for high-quality carpet that's made to handle our Alaskan climate, be sure to visit Wrucks Carpet One Floor & Home in Wasilla to check out our selection. We offer a great selection of exclusive brands, such as Lees, that combine style with performance. And, we have a few specialty brands like Dream Weaver. No matter your design or performance preferences, we've got you covered! Carpet is more durable than you think, and comes in options that are stain, fade, and wear resistant. Our unique Select-A-Floor™ system helps us match you to a carpet that suits your lifestyle while offering our award winning warranties. 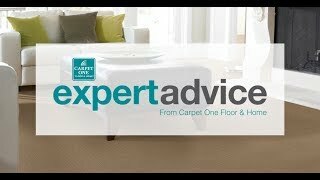 Our flooring professionals are your local carpet experts and are here to help you find the best carpet flooring for your home. There are a few different carpet options out there, but we don't necessarily consider one or some better than the others. But, there is always going to be a carpet type that best suits your desired setting. If, for example, you live in a home with children and pets, you'll need something that is stain resistant but still comfortable underfoot. Berber carpet might be the best option. But, if you're looking for a carpet that will add sophistication to a room that won't have that much foot traffic, then berber wouldn't be the best option. A plush carpet like shag carpet is a better option. Also, you'll to consider the different carpet fibers including nylon, polyester, triexta, and wool. We offer pet friendly carpet for your home. There is no reason to sacrifice comfort for performance when you can have both. We offer carpets that are specifically made with pets in mind. They feature the ultimate stain resistance and can easily be cleaned. Our H2O™ technology found in our line of exclusive carpets features a waterproof backing that stops pet accidents from reaching your subfloor. This prevents the growth of mold, mildew, and odor causing bacteria. Carpets can best be enjoyed in bedrooms, dens, or you can even install them in living rooms as well. Our stain, wear and fade resistant carpets can be installed in places around your home that experience a lot of traffic like stairs, hallways, and even children’s playrooms and basements. In commercial settings like offices, you need to consider foot traffic and a greater chance of spills. Be sure to take a look at durable commercial carpets, which are tougher and harder underfoot than residential carpets. Also, carpet tiles are popular in commercial settings because they are easy to install and maintain. Be sure to browse through the carpet section of our website to learn more about carpet. Then, visit our store so one of our experts can help you make the perfect choice! We offer name brands carpets such as Dream Weaver and STAINMASTER, in addition to our exclusive brands including Relax, it’s… Lees®, Tigressá®, Resista, Bigelow, and Innovia™. Carpet is extremely versatile, as there are so many types available. Loop, pattern, frieze, plush and texture are all options. Let us help you figure out which type is best for you. Since we're part of Carpet One, we offer a selection of exclusive carpets that are backed by industry-leading warranties. Our experts will help you choose the carpet that perfectly reflects your unique style. And, we'll make sure it looks good in your home setting, too!